Finally...9 months of my UGRAD journey is finally over...& it is time to say goodbye. I'm on my journey back home...37 hours of traveling to the other side of the world, back to where I belong. 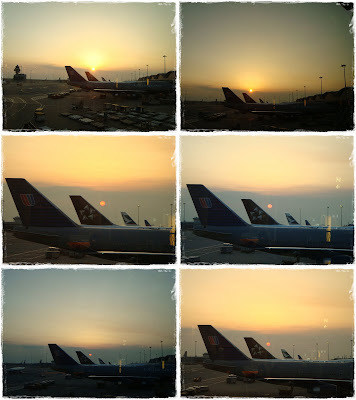 6 airports, 5 planes, 4 transits...Huntsville-Atlanta-Chicago-HongKong-Singapore-Kuala Lumpur...indeed a loooong journey! Looking back at what i've done & achieved over the past 9 months, it still feels so surreal that I was actually in the US experiencing this amazing once-in-a-lifetime journey. 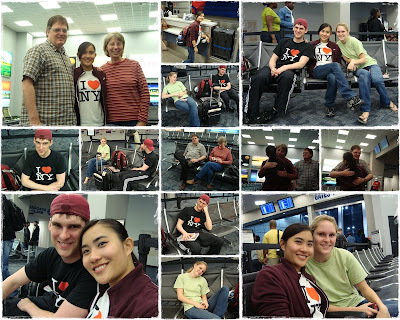 Dr Pottenger, Anita, Daniel & Anna came to the airport at 4.30am to send me off. The moment I got on the plane in Huntsville this morning, it marked the end of my UGRAD journey here in University of Alabama in Huntsville, Alabama. I've been saying goodbye to my friends whoe left earlier but when it comes to my turn to say goodbye and walk into the check-point this morning, I was emotional...saying goodbye had never been so hard for me. I can't stop my tears from falling when it was time to leave coz after these goodbye hugs, I don't know when will be the next time I'll come back to this place and see all these familiar faces. It can be a year, 5 years...or even longer. The hardest part was leaving my baby, we've shared so many sweet memories together and I can't imagine not having him by my side anymore. :( From the very beginning, I knew that I'll be here for only 9 months, never expected that so much emotions and feelings would grow within this short period of time. Long journey to the other side of the world...37 hours of traveling!! 2. 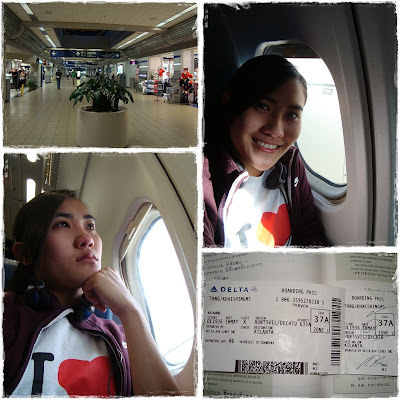 Atlanta-Chicago (2 hours): Was rushing during the transit in Atlanta due to the delay in Huntsville...pheww!! 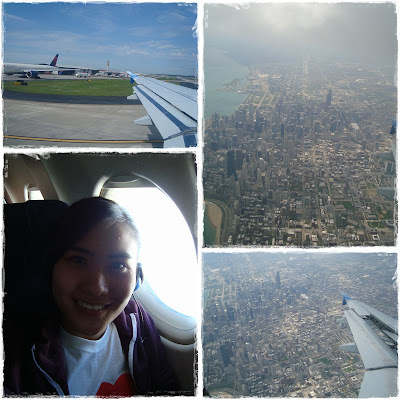 View of Chicago from the air. 3. 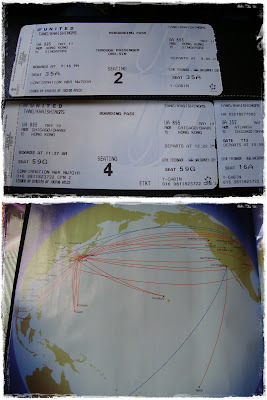 Chicago-HongKong (15 hours): Met up with bro at Chicago and took the same flight all the way to Singapore. 15 freakin' hours...and I didn't get to sleep much! Eat...sleep...watch movie...talk, that were all I did!! 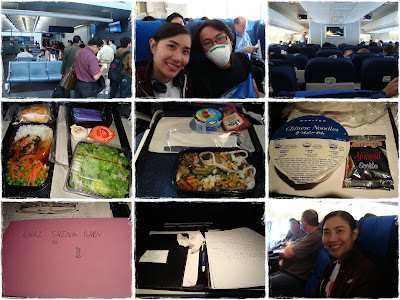 We were 'lucky' to travel during H1N1 epidemic, bro wore that mask for 5 minutes only and he was suffocating already...hahaha!!! 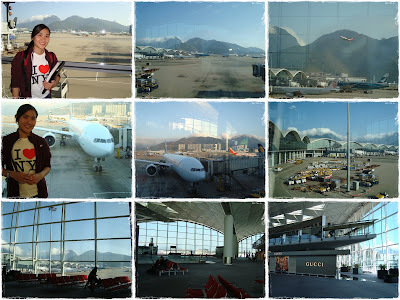 Finally arrived HongKong for 3 hours' transit...the airport is niceee!!! 4. 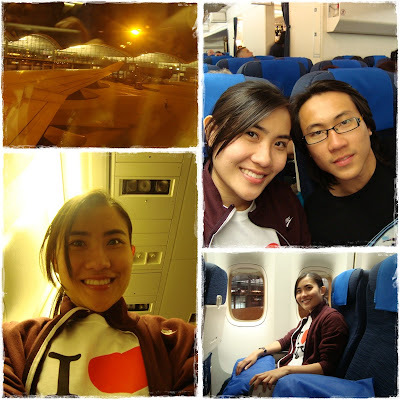 HongKong-Singapore (3.5 hours): This flight was not full so we had more space to sleep...haha!! 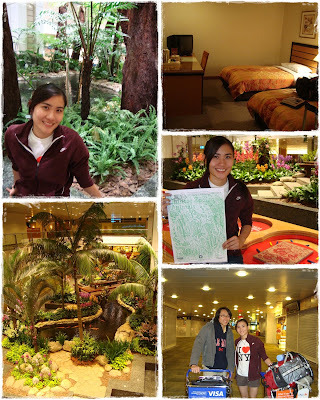 Spent the night at Singapore Changi Airport transit hotel...this airport is really coool!! 5. 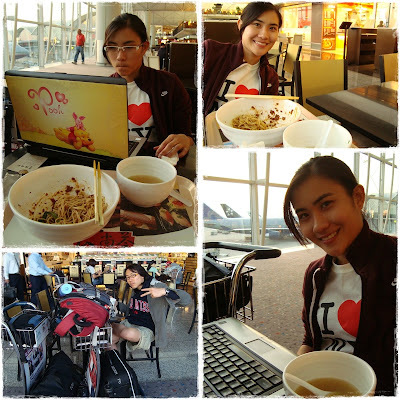 Singapore-Kuala Lumpur (1 hour): Finally...the lastttt flight!!! 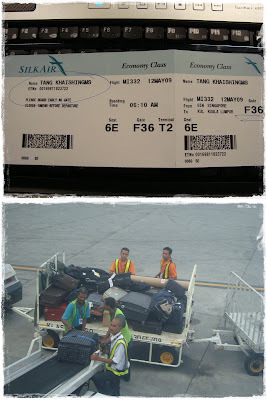 Took pic of the workers unloading my bag...haha!! 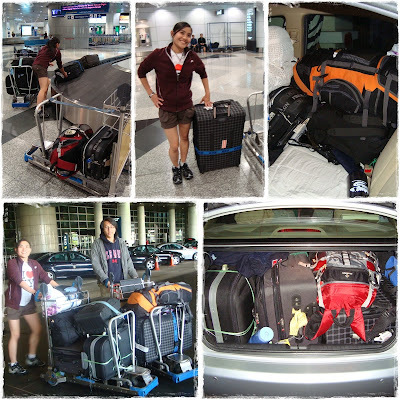 Arrived KLIA with our huge luggages...mom & dad picked us up & we managed to squeeze all our things into the car...hahaha! !